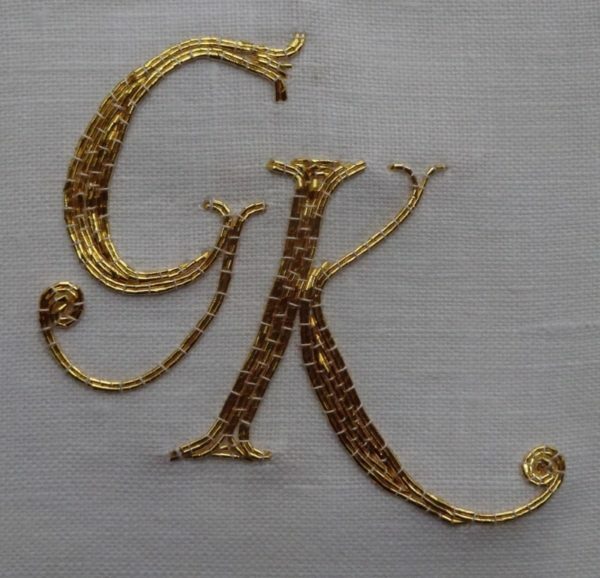 I’m trying to get ahead with the alphabet so that I can devote time exclusively to the altar frontal when I’m certain about the size (which should be in a week’s time when we’re back from our visit to Ipsden). But racing ahead is never as easy as it should be for reasons that probably lie deep within human nature – so I suppose I should be relieved that I have at least almost finished H (for next week), just as I’m about to blog G, this week. Ummm. 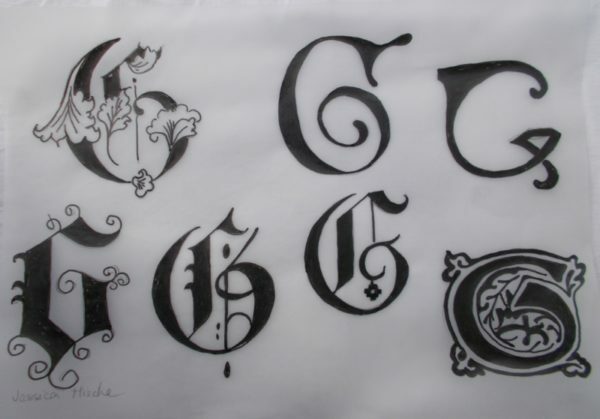 Anyway, here is a big bold foliate Gothic G, along with a few other G.s blogged here previously. 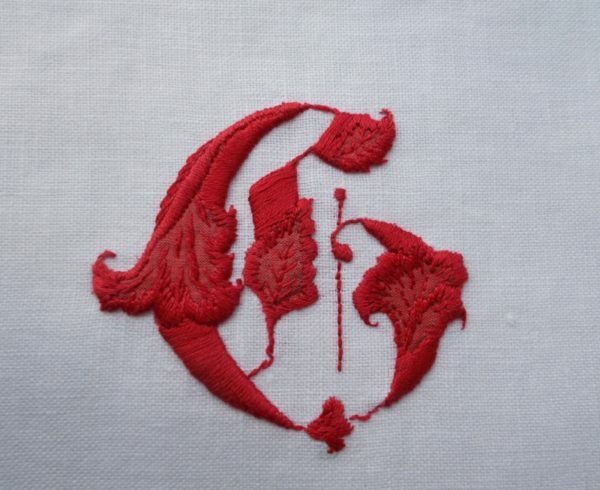 It was a very florid G, but I do think that G gives a lot of scope for variation – as your online discoveries, and your previous versions show! Florid’s the right word – I feel floridness upon me and probably should resist. I thought this G had a Germanic medieval air. 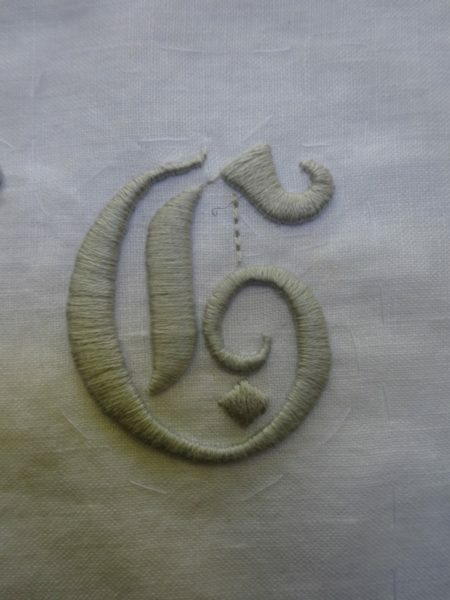 My favourite G is the couched gold thread one. 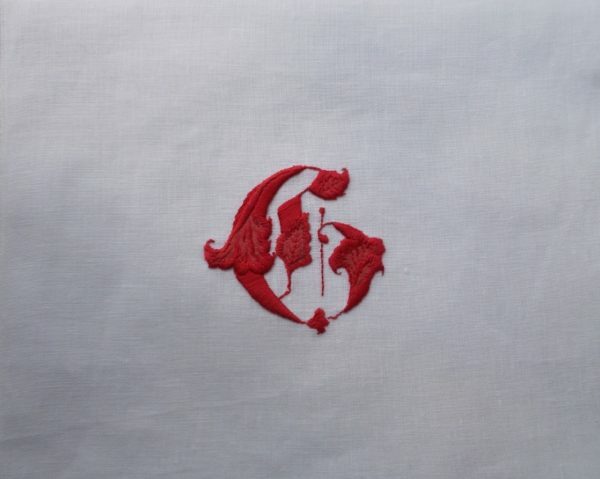 The monogram had such sweep and balance that it seemed to dance across the fabric. An interesting comment – less is obviously more in this case … and I probably agree (I add indecisively).